We know that remote access to PC is really easy because there are numerous programs which allow us to do that. 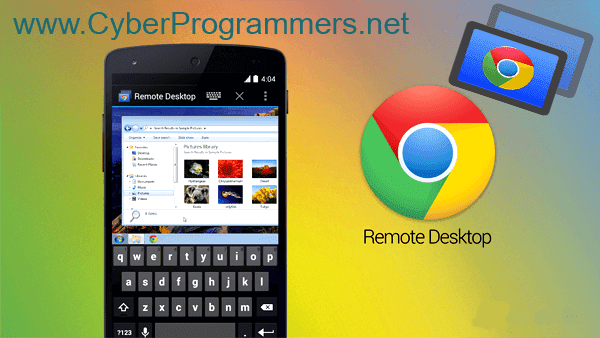 But We can remote access to our PC with Android device or using another PC/Laptop with Chrome browser extension "Chrome Remote Desktop". So if you are using Chrome browser then you can use as remote access program, no need to download any other program. 1) First of all open this link in your PC's Chrome browser. Now add that extension to your Chrome browser. 2) After its added to Chrome browser open it. 3) Now it will ask you to authorize with your Google account, press on "Continue" button and if you signed in to your Google account, simply press on "Accept" button. 4) After the authorization is done, press on "Share" button. It will redirect you to a black page which will download an msi extension file if you are on Windows. Install it on your computer. 5) When you have installed it on your computer successfully it will give you a Pin code when you press on "Share" button. 1) First of all download this app on your android device. 2) Make sure you have signed into the same Google account which you have used to authorize Chrome Remote Desktop extension! 3) You can see the list of PC's you can access. 4) Choose the PC you want to access and tap on it, it will ask you for the Pin, which you can get by pressing on "Share" button on that PC(above step 5). 5) Enter the Pin number and press on "Connect" button. 1) You need to do same steps as you do in shared PC, look at "Configuring the shared PC" part. 2) In extension press on "Access" button. 3) In pop out window enter the shared PC pin number and hit on "Connect" button.